The proposed Clash Gour turbines could be built in pockets around the Berry Burn Wind Farm. Force 9 Energy wants to construct up to 48 turbines ranging between 425ft and 575ft, about seven miles south of Forres. 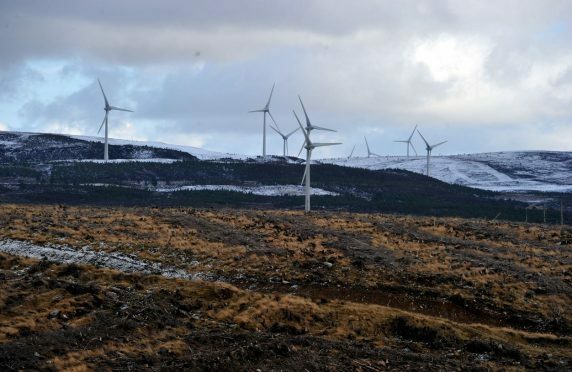 The controversial plans have already attracted objections from Sepa due to concerns about forestry, and Inverness Airport about possible effects on radar, while they have been the catalyst for 180 further letters from members of the public. Yesterday, Force 9’s head of planning and development, Andrew Smith, urged the council to back the plans due to the potential economic benefits of the site, which could power at least 145,000 homes. He said: “If consented and built, we estimate that the value added to the Moray economy would be £26.7million and up to £91.4million to the Scottish economy. “The supply chain requirements will have huge economic potential for a wide range of businesses including accommodation providers, contractors and suppliers of goods and services.